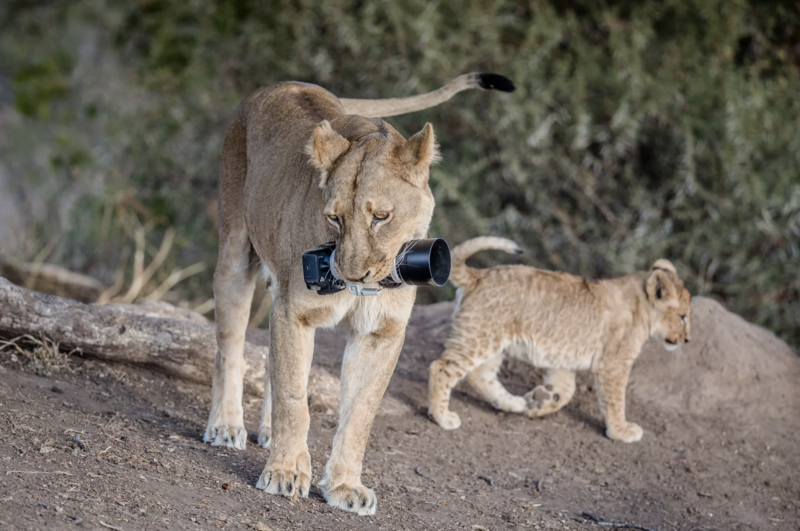 From PetaPixel we have the story (and a video) about a lioness who stole a photographer’s camera and gave it to her three cubs as a toy. How did this happen? Wildlife photographer Barbara Jensen Vorster was photographing a pride of lions in Botswana in July when she had her camera stolen by a lioness. She luckily had another camera ready and captured a series of photos showing what happened next. Vorster was shooting at the Mashatu Game Reserve with her Canon 7D and Canon 100-400mm lens— a camera kit worth over $2,000 — when she accidentally dropped the kit on the ground. Upon hearing the thud, the protective lioness mother growled and then approached the group to investigate, causing Vorster and her party to retreat in their 4×4. “The camera fell with the lens looking up, she gently flipped the camera on its side and picked it up by the barrel of the lens,” Vorster says. The lioness then picked up the camera and telephoto lens in her mouth and carried it a distance before dropping it onto the ground. Her cubs then pounced on their new toy and began playing with it. “They dragged it through the dirt, chewed on the lens hood and then fortunately, like most kids, soon grew tired with their new toy,” the photographer says. 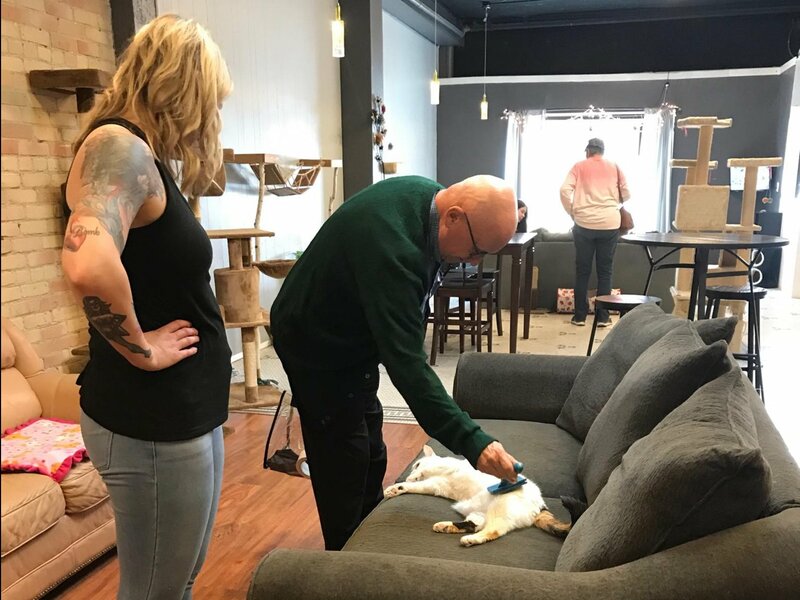 According to [founder Elizabeth] Feldhausen, Terry has a “magic brush” and all the cats — even the ones who normally won’t play with others — flock to this Pied Piper of sorts. So far the story about Terry has prompted people to give $10,000 in donations, and if you’d like to donate (I did), you can do so here. This entry was written by whyevolutionistrue and posted on September 22, 2018 at 9:30 am and filed under Uncategorized. Bookmark the permalink. Follow any comments here with the RSS feed for this post. Both comments and trackbacks are currently closed. Always look forward to Caturday felid trifecta. Enjoyed story about Terry the volunteer. 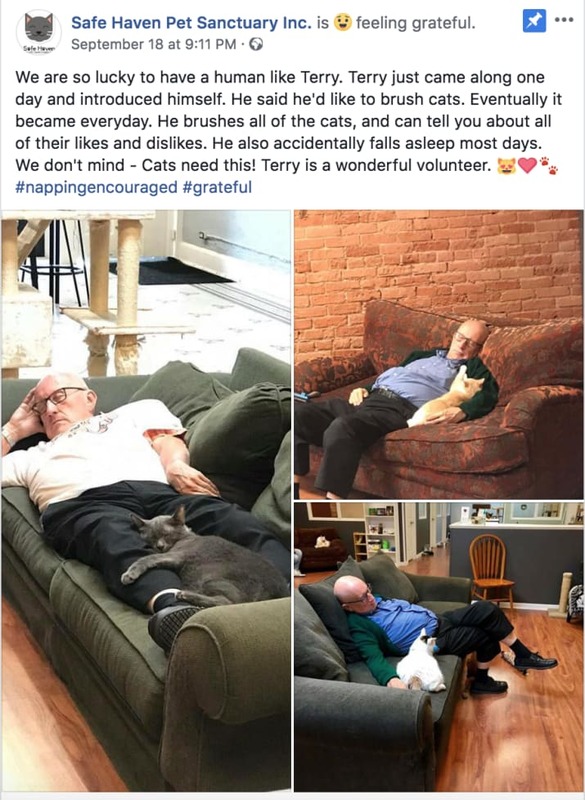 The story of Terry made me so happy. I worked as a cat socializer at a shelter for some time. 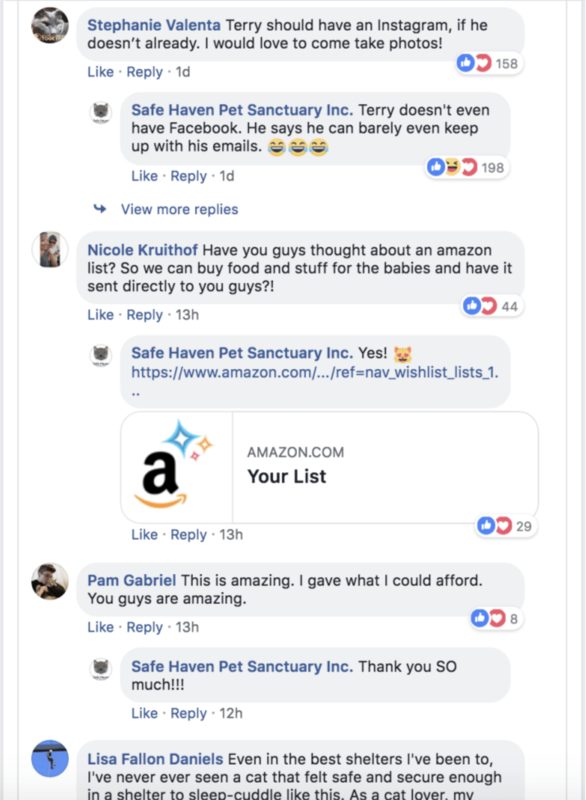 It was very rewarding, but also very emotionally taxing, as it really was a shelter where the cats were in cages. I had to leave after a few months because seeing those poor cats live like that made me even more depressed than I usually am. Honey Bee probably has a brain that’s been reorganized. The visual cortex may have atrophied while the other senses have grown. It’s interesting to try to imagine what it’s like to be Honey Bee. She (?) seems remarkably brave and confident in walking or scrambling in places where she can’t possibly know what’s in front of her. She must have great trust in her owners not to let her hurt herself. I hope the lion toy camera continues its work for years to come!